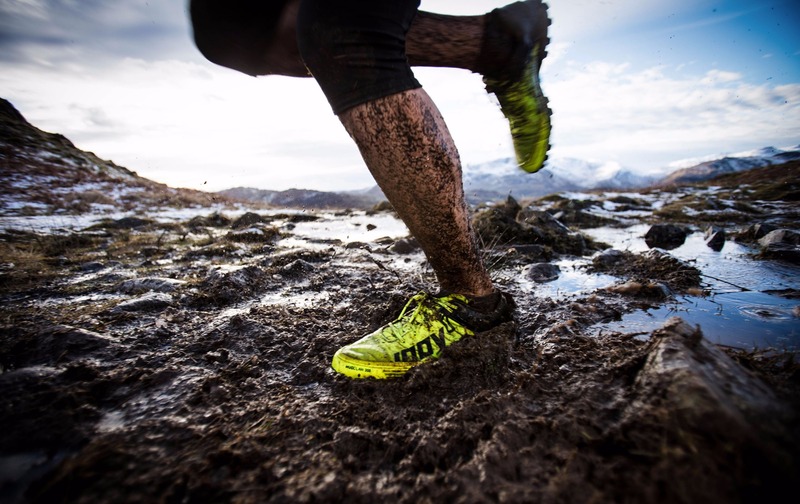 Of all the shoes in the inov-8 range, the MUDCLAW is one of the most iconic. An evolution of our very first shoe – the MUDROC launched in 2003 – the MUDCLAW performs exactly how the name suggests... it claws through mud. 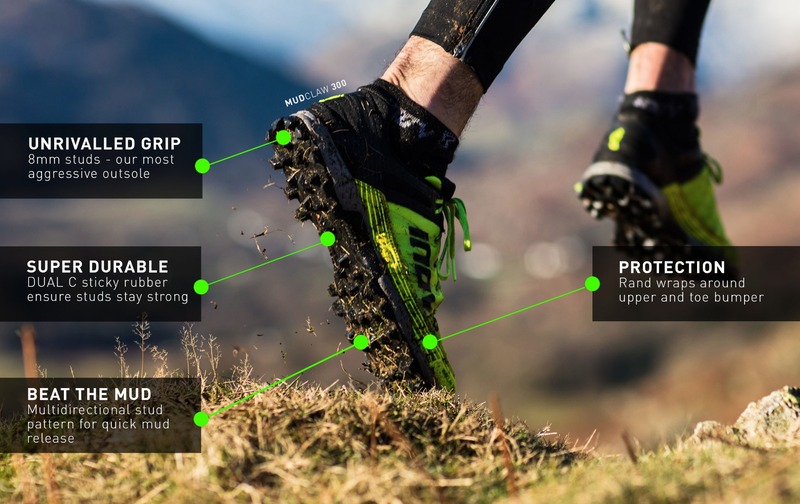 Given its proven ability to perform in mud and over all soft ground, it’s no surprise that the MUDCLAW is the shoe of choice amongst many trail, fell, mountain, cross-country and obstacle runners preparing to tackle the most testing of sloppy underfoot conditions, across all gradients of slope. Uphill, downhill, or on the flat, the MUDCLAW gives the runner the confidence necessary to attack whatever lays ahead, safe in the knowledge that they won’t end up slipping. Added to this – and significantly enhancing its versatility – the MUDCLAW also grips to rocks, including the dreaded wet rock often found on trails, fells and mountains. The DUAL-C compound used (a mix of medium and hard sticky rubbers) combined with the larger surface area on the tips of the studs, provides a stable, confidence-boosting hold when running over hard, wet ground. The MUDCLAW in the current range is the MUDCLAW 300, which weighs 300g and features both a 6mm drop (heel to toe differential) and an injected EVA midsole. The outsole at the heel sits flat to the ground to increase stability. There is also a MUDCLAW 300 CLASSIC, featuring the original rounded bi-planar heel, which is available through selected retailers in the UK. 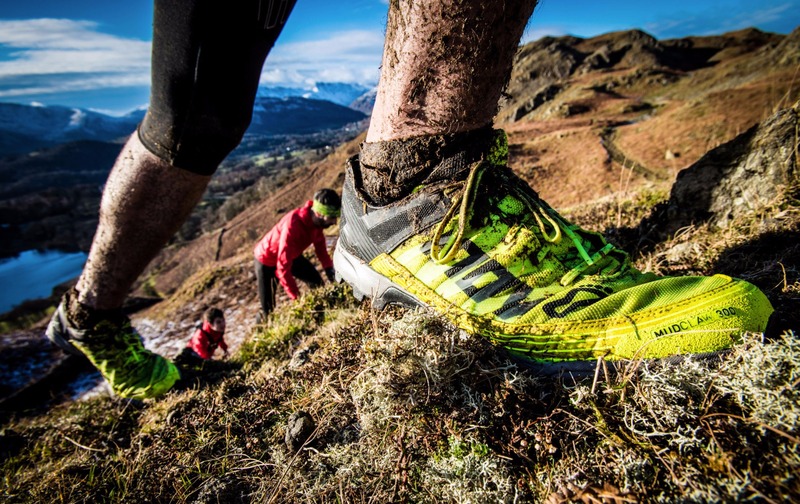 Rhys Findlay-Robinson wore the MUDCLAW 300 throughout his 2016 British Fell Running Championship series victory. 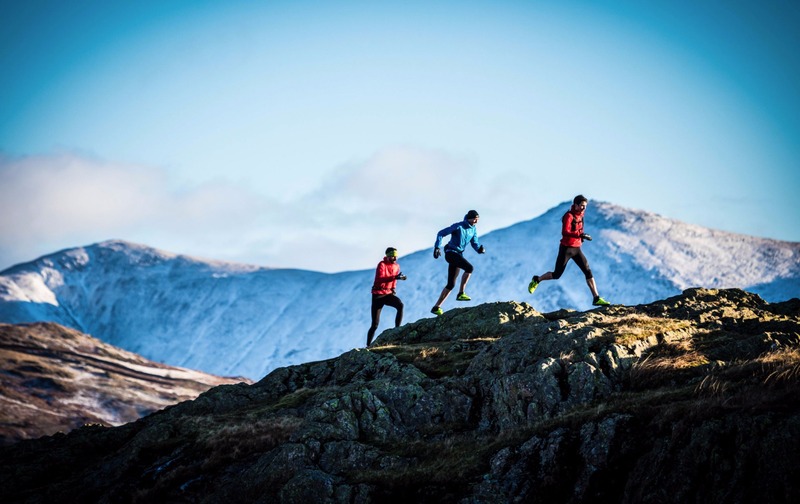 2016 British Fell Running Champion Rhys Findlay-Robinson training in the Lake District Fells with fellow inov-8 ambassadors Ben Mounsey and Adam Perry. Ever since its introduction to the range, the MUDCLAW has won countless awards. The most recent came in December 2016 when Totally Active Magazine named the MUDCLAW 300 as its Editor’s Choice. The magazine says: “ If you like to run on the wild side, you simply can’t find a better shoe than the inov-8 MUDCLAW 300. Their grip is truly staggering and I’m yet to find another shoe that comes close.” Read the full review here. Image shows the shoe in its previous colour (red and black). The new colour for Spring/Summer 2017 is yellow and black.